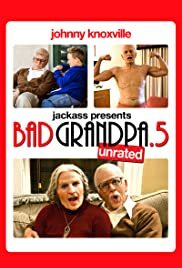 Behind-the-scenes feature of the 2013 comedy JACKASS PRESENTS: BAD GRANDPA that includes over 40 minutes of additional outtakes and interviews. Catherine Keener and Spike Jonze's portrayals as elderly women add a layer to the story and help shape Knoxville's character's background a little more—and despite these subplots being removed from the final cut for lack of contribution to the story, they are just as funny as the shenanigans left in. Not only will fans of the movie enjoy, but also those fond of JACKASS, as .5 unravels a lot like an episode— which couldn't be anything but intentional.